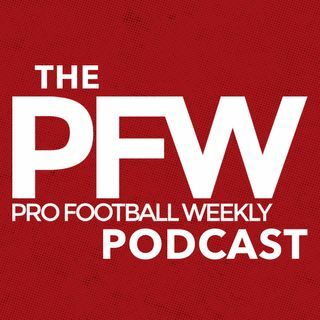 On the new Pro Football Weekly podcast, Titaninsider.com publisher Terry McCormick and NY Daily News columnist Manish Mehta join host Arthur Arkush to review the offseason in Nashville and New York. McCormick provides an update on Marcus Mariota's recovery from leg surgery and explains the fits of big-ticket acquisitions, Corey Davis, Adoree' Jackson and Logan Ryan, among others. Next, Manish shares how progress should be gauged in Year 3 of the Todd Bowles-Mike Maccagnan era with a ... See More rebuild underway, including assessing Christian Hackenberg on Sundays with live bullets flying. Manish also shares his thoughts on Jamal Adams' arrival and what the team needs to see from Mo Wilkerson, fresh off a monster deal in 2016, and Sheldon Richardson entering a contract year.On the new Pro Football Weekly podcast, Titaninsider.com publisher Terry McCormick and NY Daily News columnist Manish Mehta join host Arthur Arkush to review the offseason in Nashville and New York. McCormick provides an update on Marcus Mariota's recovery from leg surgery and explains the fits of big-ticket acquisitions, Corey Davis, Adoree' Jackson and Logan Ryan, among others. Next, Manish shares how progress should be gauged in Year 3 of the Todd Bowles-Mike Maccagnan era with a rebuild underway, including assessing Christian Hackenberg on Sundays with live bullets flying. Manish also shares his thoughts on Jamal Adams' arrival and what the team needs to see from Mo Wilkerson, fresh off a monster deal in 2016, and Sheldon Richardson entering a contract year.